​Daniel Kahneman (born March 5, 1934) is an psychologist noted for work in the psychology of judgment and decision-making, as well as behavioral economics, for which he was awarded the 2002 Nobel Memorial Prize in Economic Sciences (shared with Vernon L. Smith). His empirical findings challenge the assumption of human rationality prevailing in modern economic theory. With Amos Tversky and others, Kahneman established a cognitive basis for common human errors that arise from heuristics and biases (Kahneman & Tversky, 1973; Kahneman, Slovic & Tversky, 1982; Tversky & Kahneman, 1974), and developed prospect theory (Kahneman & Tversky, 1979). Amos Nathan Tversky (March 16, 1937 – June 2, 1996) was a cognitive and mathematical psychologist, a student of cognitive science, a collaborator of Daniel Kahneman, and a figure in the discovery of systematic human cognitive bias and handling of risk. His early work with Kahneman focused on the psychology of prediction and probability judgment; later they worked together to develop prospect theory, which aims to explain irrational human economic choices and is considered one of the seminal works of behavioral economics. Six years after Tversky's death, Kahneman received the 2002 Nobel Prize in Economics for the work he did in collaboration with Amos Tversky. (The prize is not awarded posthumously.) Kahneman told The New York Times in an interview soon after receiving the honor: "I feel it is a joint prize. We were twinned for more than a decade." 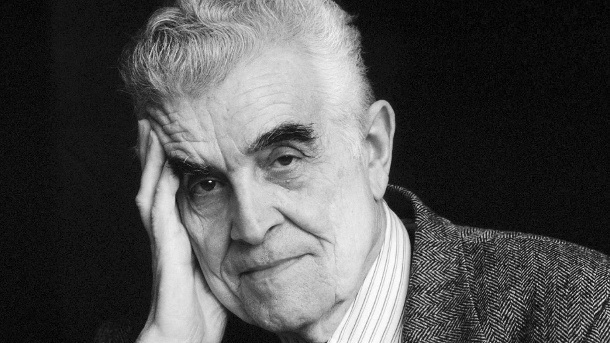 René Girard (December 25, 1923 – November 4, 2015) was a French historian, literary critic, and philosopher of social science whose work belongs to the tradition of anthropological philosophy. Girard was the author of nearly thirty books, with his writings spanning many academic domains. Although the reception of his work is different in each of these areas, there is a growing body of secondary literature on his work and his influence on disciplines such as literary criticism, critical theory, anthropology, theology, psychology, mythology, sociology, economics, cultural studies, and philosophy. Girard has been heralded as "the new Darwin of the human sciences." Stanford's Hans Ulrich Gumbrecht, the Albert Guérard Professor in Literature, called him "a great, towering figure – no ostentatiousness." He added, "It's not that he's living his theory – yet there is something of his personality, intellectual behavior and style that goes with his work. I find that very beautiful. "Despite the intellectual structures built around him, he's a solitaire. His work has a steel-like quality – strong, contoured, clear. It's like a rock. It will be there and it will last." Benoit B. Mandelbrot (November 20, 1924 – October 14, 2010) was a Polish born, French and American mathematician. He is recognized for his contribution to the field of fractal geometry, which included coining the word "fractal" as well as for developing a "theory of roughness" and "self-similarity" in nature. He later discovered the Mandelbrot set of intricate, never-ending fractal shapes, named in his honor. Mandelbrot was one of the first to use computer graphics to create and display fractal geometric images, leading to his discovering the Mandelbrot set in 1979. By doing so, he was able to show how visual complexity can be created from simple rules. He said that things typically considered to be "rough", a "mess" or "chaotic", like clouds or shorelines, actually had a "degree of order". He later discovered the Mandelbrot set of intricate, never-ending fractal shapes, named in his honor. His research career included contributions to such fields as geology, medicine, cosmology, engineering and the social sciences.